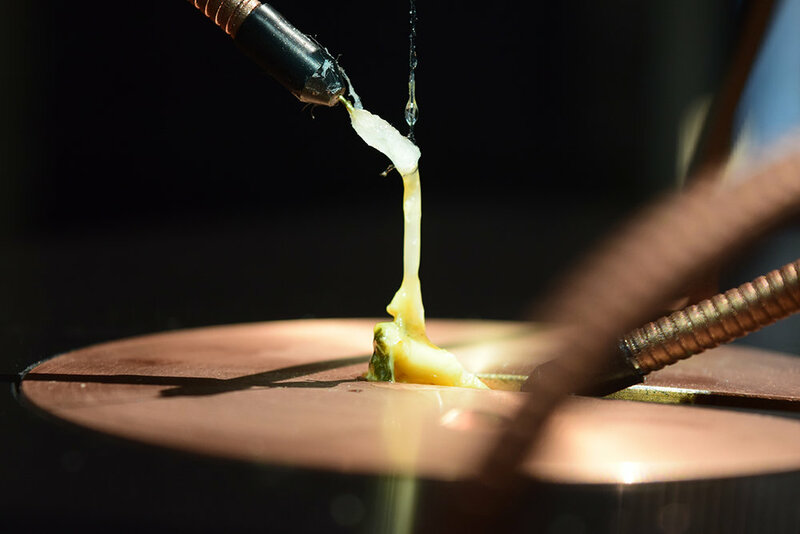 In this work mussels are mercilessly lashed into an electro-stimulated design apparatus to make a vase. The creatures are allowed to relax up to a certain point, then shocked, prompting movement that scratches a design onto the object. The resulting form might be seen as a sobering memento mori, a reflection on manufacturing processes that exploit biology, or our own inevitable destination, after much toil, that amounts to mere scratches on the earth, for what? Biodesign calls for integration with living systems as a technological, environmental, and moral imperative, but such a work should give thoughtful pause to enthusiasts. Numerous and potentially dangerous assumptions underlie the act of plugging biology into technology. The work takes form very slowly: in six hours the cylinder will move just 20 cm upwards, while the contractions happen only once every 20 minutes or so. Within it the mussels live and die in a self-stimulation loop, a cycle of work and relaxation that eventually kills it, in service to the machine, the design, and the product. If we humans, at an essential level as economic actors, are ourselves engaged in a similar cycle, in the machine of capitalism, what does it say that we would export this to other species? Is this really the best we have to offer? The artist summarizes the work as a “biologically-augmented analog-machine poem, a scientifically didactic view of muscle contractions, and lastly a sharp commentary of obsolete but still persisting modes of production with blatant exploitation of living systems.